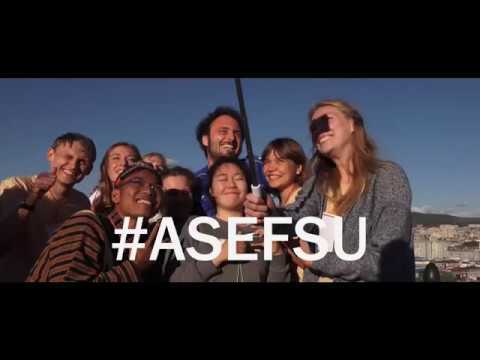 The ASEF Summer University (ASEFSU) is a 2-week experiential learning journey and “Interdisciplinary Innovathon” for Asian and European students & young professionals. Designed to foster cross-cultural exchanges and networks among youth, it will offer you the opportunity to broaden your horizons, deepen your knowledge on contemporary issues, and propose concrete solutions to societal challenges. ASEFSU23 will be conducted under the theme "ASEM Cities of the Future: Developing Liveable Habitats" and it consists of a mix of practical team exercises, thought-provoking lectures, group research and experiential learning. As a participant you will be given the opportunity to learn and share your knowledge on the development of sustainable and liveable ASEM cities through a local “Innovathon” and Challenge Hub. Consisting of members from diverse backgrounds and experiences, the ASEFSU23 Challenge Teams will tackle real obstacles to urbanisation in a practical and engaging way. These challenges have been identified in cooperation with local Challenge Partners and the proposed solutions presented by you and your team mates will be put to test and made available for the benefit of all ASEM societies. In this phase, you will actively take part in an online preparatory phase to familiarise with the topics of the project. As part of it you will work on individual and group assignments, as well as attend online webinars on topics ranging from Urbanisation & the Sustainable Development Goals (SDGs) to International Relations & ASEM. The programme in all 3 countries will offer you trainings, workshops, lectures and study visits to develop your understanding of the themes covered by the project. As part of the programme you will also go from theory to practice as you will be given the opportunity to co-develop and test solutions to urbanisation, migration and youth employment challenges faced by local authorities, businesses and civil society organisations in the region. All prototypes developed on site – analogue and digital – will be analysed and tested after the project by relevant stakeholders and communities engaged. In addition, the project’s best-performing participants will be invited to present the outcomes at high-level ASEM Ministerial Meetings and other events. ASEFSU23 is accessible to all ASEM youth. The Open Call for Participation will be published on this webpage during the second half of 2019.